The thought of losing coral reefs is depressing- but coming together as a community to take action is empowering. 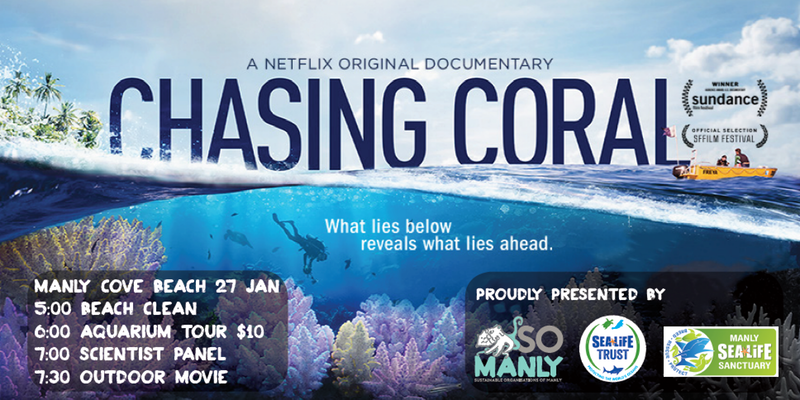 Join Manly SEA LIFE Trust for a special screening of Chasing Coral with a panel of scientist to inspire us to "be the change" to save the reef. Our Community is fortunate to have our own coral gardens right here in Sydney Harbour, but these corals are under threat too. Find out how you can help be a part of the solution and connect with others to travel this journey towards sustainable living together. "What lies below, reveals what lies ahead"